Fill in your current password. 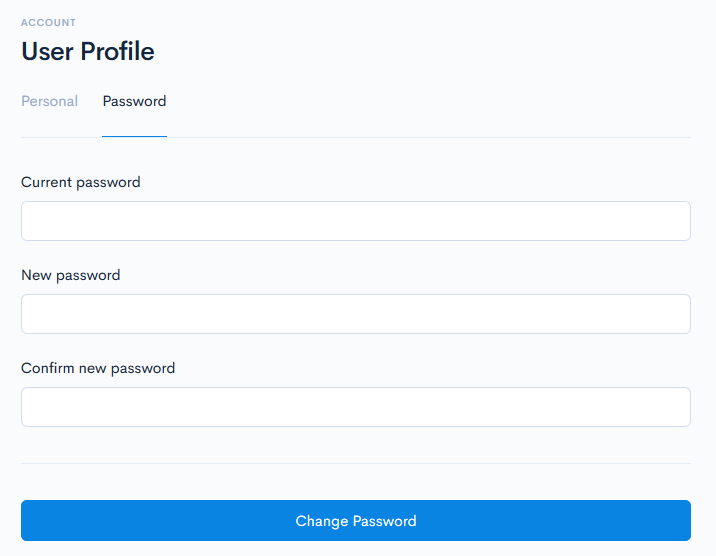 Specify your new password and confirm the new password. Click the Change Password button to change your password.